Does Touching Your Face Lead to Breakouts? You probably remember your mother scolding you to, “Stop touching your face, it’ll cause pimples!” throughout your teenage years. And while fear of breakouts (and your mother) may have made you sit on your hands, we wanted to know for sure, was mom right? But touching your face may not do troublesome skin any favors. “Any impurities can cause more breakouts from dirt and oil, including the fingertips,” says Dr. Sonia Badreshia-Bansal, UCSF clinical instructor. One possible cause of recent breakouts might be your cell phone. Since you’re often touching it all day long (especially if it’s a smartphone), and probably not washing your hands every time before you pick it up, it’s likely to be a hub of germs and bacteria. That bacteria is in constant contact with your face and could trigger breakouts on your chin and around your mouth. Wipe it down daily with alcohol or Clorox wipes to clean it and try to talk with a hands-free headpiece or device if you want to minimize skin contact. So while touching your face occasionally won’t automatically cause pimples, if you’re putting greasy fingers on congested skin, it will plug up your skin follicles and increase chances of breakouts, says Dr. Buka. Both of the dermatologists we talked to said most people who touch their skin also tend to be pickers, which can lead to more pimples, or worse, scarring. Gently cleansing the skin daily is all you need to do to remove excess oil and dead skin cells. In fact, scrubbing the skin too hard, too often, or using harsh soaps irritates the skin, depletes it of natural oils, and can make acne worse. Bottom line? 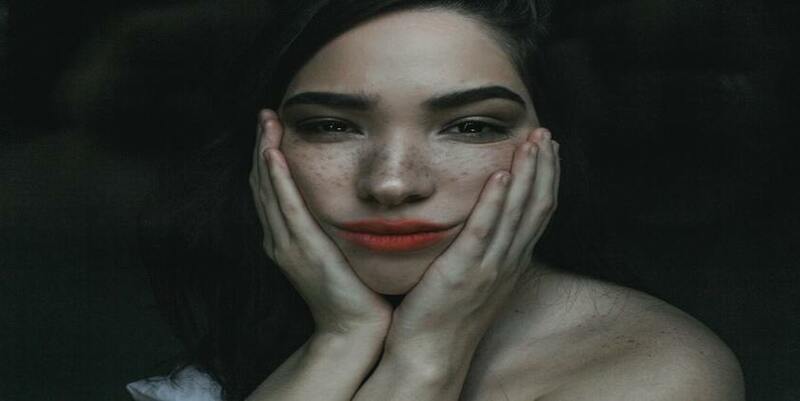 Minimize touching your face, especially when you know your hands are dirty or sweaty (like after a session at the gym), but don’t freak out if you do—it won’t necessarily cause a pimple.